Puzzler Suguru is a brand new, Japanese number puzzle with even simpler rules than Sudoku, but offering a pure logic challenge. For any fan of Sudoku or just puzzles in general, this magazine promises to be a firm favourite. 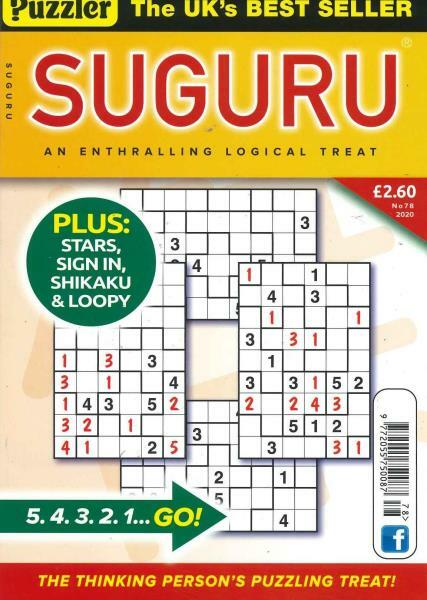 Buy a subcription to Puzzler Suguru from Unique Magazines today or buy a single issue of Puzzler Suguru and start testing your logic skills. There are lots of puzzles at different levels which I like.I particularly like the larger puzzles as they require more deliberation.